Karl is the "Morning Host @ WMBI 90.1 FM" in Chicago, IL. He just launched a new church in the near West of Chicago, !80Chicago.church. Karl's former radio program was a finalist for the 2014 National Religious Broadcasters Radio Program of the Year. 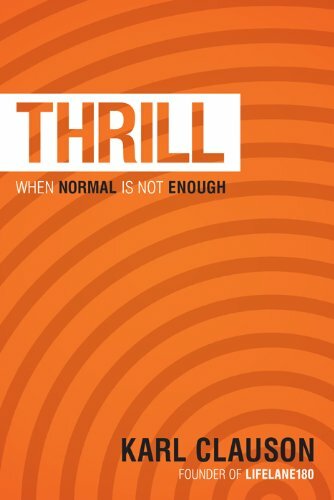 He is the author of Thrill - When Normal Is Not Enough. Karl completed the 1,100 mile Iditarod Trail Sled Dog Race at the age of 18. Since then, Karl has done everything from coaching a track team in South Africa, speaking nationally, to leading the largest church in Alaska. His passion is for people to live the life God intended for each of us to live. Karl is uniquely gifted to help people discover that abundant life. This is Karl's personal site but really - it's your site. From here you can find all the ways Karl will partner with you to pursue and discover God’s plan for "abundant life". Whether speaking, blogging, broadcasting or publishing, Karl's mission is to awaken a spiritual revolution within the church that reaches the world. Everything is aimed at this mission and serving you in it. Our entire team's goal is to offer you a steady stream of life-transforming truth and helpful resources. If you desire change that is sustainable – or have a passion to help others discover it – then we look forward to serving you in any way we can.